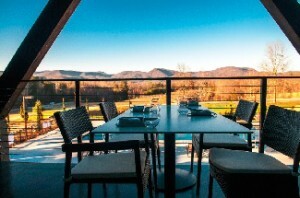 With manicured vineyards and long-range views of the Blue Ridge Mountains, the luxurious Hotel Domestique in Traveler’s Rest, South Carolina is perched atop 29 acres of rolling hills amongst fountains, lush gardens, and courtyards.Brothers George and Rich Hincapie purchased the 13-room French-inspired hotel, formerly named La Bastide, from foreclosure in 2011 and spent two years and millions of dollars transforming it into a luxury boutique hotel with a slant on cycling. Both George and Rich grew up in the cycling world. George, who retired from pro cycling, competed 17 times in the Tour de France, sometimes alongside teammate Lance Armstrong. George and Rich also own Hincapie Sports, which specializes in custom clothing and accessories for cyclists. 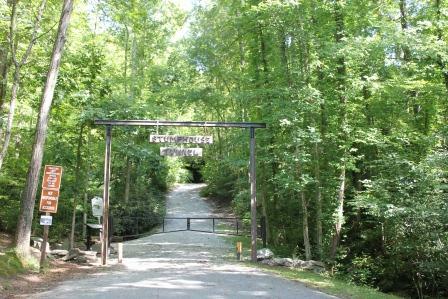 Several times a year, Hotel Domestique will host special cycling “experiences” such as mountain biking and climbs with George. Bike rentals are available with high-end carbon BMC road and mountain bikes. A bike valet will ensure visitors’ bikes are ready and waiting, and onsite bike maintenance is also offered. Guests also have access to preset computers as well as queue sheets to follow George’s trails he used to train for the Tour de France. Weddings, corporate retreats, and sports camps are also offered. A partnership with The Cliffs communities (George was recently named director of cycling) offers guests exclusive play privileges at numerous nearby courses, and the staff will happily arrange a tee time for you and your guests. 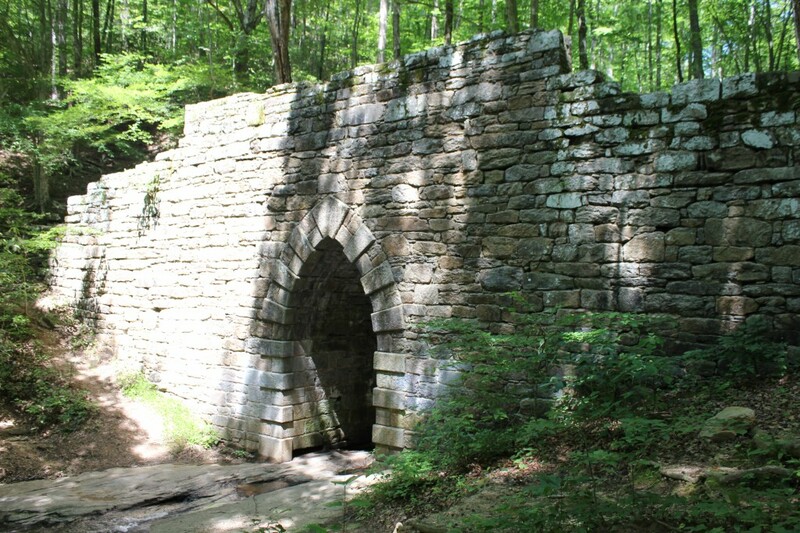 The hotel’s proximity to downtown Greenville and Asheville make it a great base for exploring the area. If it’s relaxation you seek, Hotel Domestique has that too. A pool, yoga and fitness studio, along with nooks and crannies and comfortable chairs all provide the backdrop to de-stress and wind down. After picking out a great read from the hotel’s library, some rooms offer fireplaces for cozying up with that book while enjoying a glass of wine from the hotel’s vineyard. 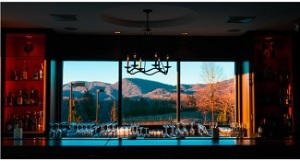 The award-winning Restaurant 17 at Hotel Domestique, named for how many times George competed in the Tour de France, can’t be missed, and locals don’t have to stay at the hotel to enjoy the fine food. Chef Adam Cooke believes in using “only the freshest seasonal ingredients.” Chef Cooke was recently invited for the second time to the prestigious James Beard House in New York, and he’ll be duplicating that dinner for Restaurant 17 guests on December 11. In addition to special wine dinners and holiday events, each Tuesday, Chef Cooke and his staff prepare a “Cena Italiana” or Italian supper for $30 for three courses. Reservations are recommended. For guests staying at the hotel, a French continental breakfast is served daily and the onsite cafe offers espressos, smoothies, French pastries, paninis, Artisan cheeses, and charcuterie. The bar not only offers amazing views but artisan cocktails and an assortment of eclectic and vintage wines. Hotel Domestique is located at 10 Road of Vines in Travelers Rest, just off Highway 25 and Highway 11 (aka the Cherokee Scenic Foothills Highway). Room rates vary, starting at $295 per night. Restaurant 17 is open for dinner Tuesday through Saturday and reservations can be made online via Open Table or on Hotel Domestique’s website.